Week 14 is the worst…but we can still squeeze in some fun! I try to be positive most of the time. But, let me tell you…Week 14 is the absolute worst during third trimester! The good news is after this week, anatomy is done, since the written exam and the lab practical both happen during Week 14. However, that also means it is a very intense week of anatomy exams. I figured this would be a good time to talk about the awesome tutoring resources available to students. I finally made it downtown to see the green river! For a history on the green river in Chicago, click here: https://chicagoist.com/2016/03/16/st_patricks_day_history.php . It was pretty cool. I went the day after they dyed it, so it had started to fade a little, but it was still neat to see, and I didn’t have to deal with all the people on St. Patrick’s Day! It was a win-win! Plus, I normally walk along the riverside on my way to church on Sundays anyway. When I was originally looking at naturopathic medicine programs, I was shocked to learn that some schools don’t do dissections in a gross anatomy lab, yet over the last year, I have come to really appreciate my time there. Arguably, I am appreciating it a little more lately as my time in there is almost complete. I have four weeks left of dissecting, and I can honestly say I am going to really miss it. A few years ago, I made a new year’s resolution to not let my fears stop me from doing anything. Literally, on New Year’s Day, I took my niece and nephew to a children’s museum in Baltimore. That day they had some reptiles for the kids to touch. One of the reptiles was a snake. I am terrified of snakes, and don’t even like to look at them in pictures! But, I knew I had made this resolution, and I was determined to TOUCH the snake! I did it! I’m thankful for that opportunity because it ended up setting the pace for my entire year. Anytime I was afraid, I would remind myself that I touched a freaking snake, no amount of fear could keep me from doing anything! I don’t know what it is, but I swear the midterms that happen during weeks 5 & 6 often feel significantly worse than even finals week. I think it has to do with every class having an ‘early assessment grade’ by week 6, so everything falls around the same time. Whereas for finals week, practical exams are typically a separate week from the written exams, which makes things feel a little more spread out. Brr, it is cold outside! We survived our first year! Winter break was wonderful, and greatly needed! After final exams were over, I did something new. Instead of rushing home to Maryland, I relaxed for a couple days in Illinois. I caught up on my sleep, which I’m sad to admit had been greatly lacking the weeks leading up to exams. I went on a hike with a couple classmates and our puppies; and we just hung out thinking about the year we just had. We survived the first year! Family, Cancelled Flights (and Classes) & Finals! Oh my! Surprising my family for Thanksgiving was amazing! My parents were SUPER surprised, as were my nieces and nephew. I didn’t realize how much I needed some family time until I was there and able to enjoy it for a couple days. While I did get a lot of studying done while I was home, I was able to relax and visit quite a bit as well. I bought my nieces and nephew a couple games to play (that are a little noisy, so I knew their parents would never purchase them). I bought Hungry Hippo and Operation. We had a blast playing the two games! Thanksgiving was this week, so I thought I would make a traditional post about some of the things I am thankful for. Consider yourself warned, some of this will be super cliché. Goodbyes, Exams, and New Toys! School is hard. Each trimester is 15 weeks, and unfortunately, life outside of school doesn’t actually stop, even if it sometimes feels like it does while we are fully focused on school for 15 weeks at a time. 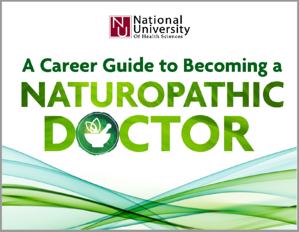 Interested in learning more about a career in naturopathic medicine? Check out out guide!